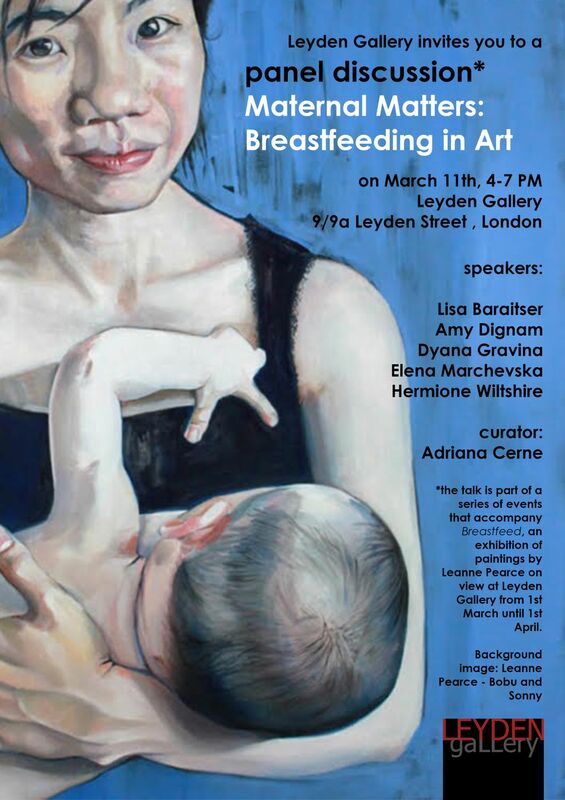 Join the panel discussion about the important topic in contemporary society - Breastfeeding in Art. To compliment Leanne Pearce’s first London exhibition Breastfeed (1 March - 1 April), Leyden Gallery is hosting a series of gallery talks, performances, and panel discussions running throughout the course of the exhibition during March curated by Adriana Cerne. 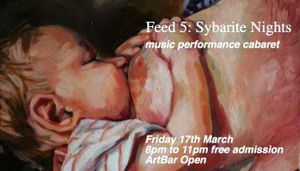 These events are referred to as ‘feeds’ that openly lean towards a feminist undertaking with guests/panellists who will address breastfeeding as a subject pertinent to this moment; one that opens the world of discussion and larger debate. 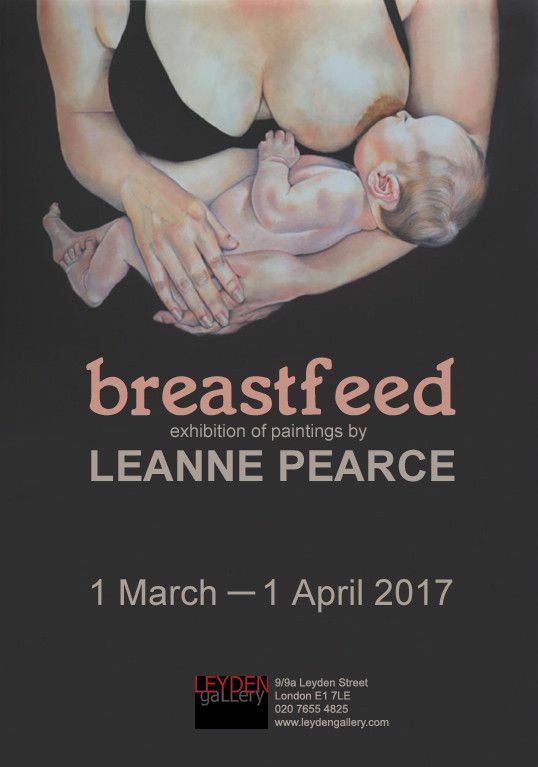 Join the panel discussion about the important topic in contemporary society -Breastfeeding in Art on Saturday 11th March. 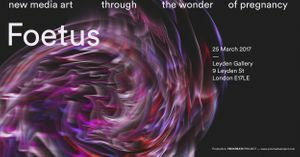 Share your opinion with Dr Lisa Baraitser MAMSIE (Birkbeck Department of Psychosocial studies University of London), Dr Elena Marchevska (Senior Lecturer Southbank University) and Dr Hermione Wiltshire (Senior Lecturer Royal College of Art). A major strand of Dr Lisa Baraitser's research has centred on the fraught relations, as well as creative tensions, between motherhood, female subjectivities and ethics. Lisa Barraitser is the author of Maternal Encounters and winner of the 2009 Feminist & Women's Studies Association (UK & Ireland). Dr Elena Marchevska - a practitioner, academic and researcher, who writes extensively on the issues of belonging, female body and the border and intergenerational trauma. 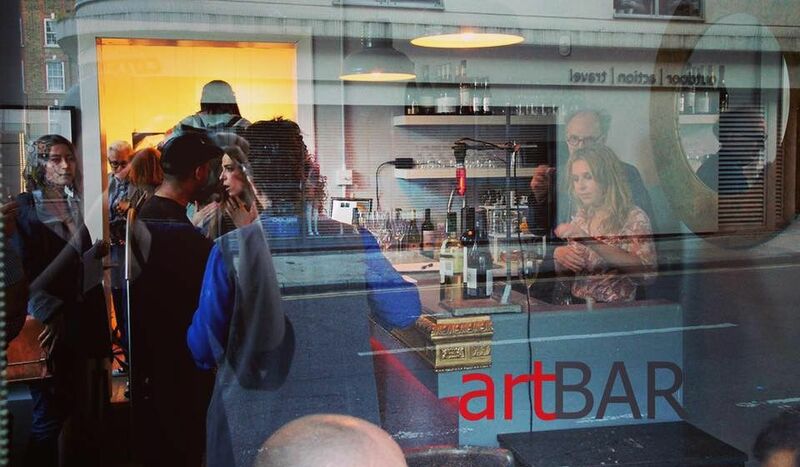 Dr Hermione Wiltshire's practice focuses on photography, sculpture, architecture and performance, thematically revolving around maternity and creative practice in relation to Modernism, photography and physical image. 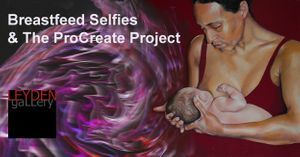 Amy Dignam & Dyana Gravina, Artists & activists, are founding members of the ProCreate project and Mother House.